I hate throwing away food. So much. I remember as a kid, my dad always talking about not wasting food. As a seven year-old, this point kinda went over my head, but as an adult, I totally understand why I shouldn't be wasting. I have found a ridiculous number of ways to use up odds and ends, but this DIY is one of my favorites. Adam was a crouton hater, prior to my making homemade croutons, and now he will eat them straight out of the pan. And I can't blame him. They are SOOOO good. 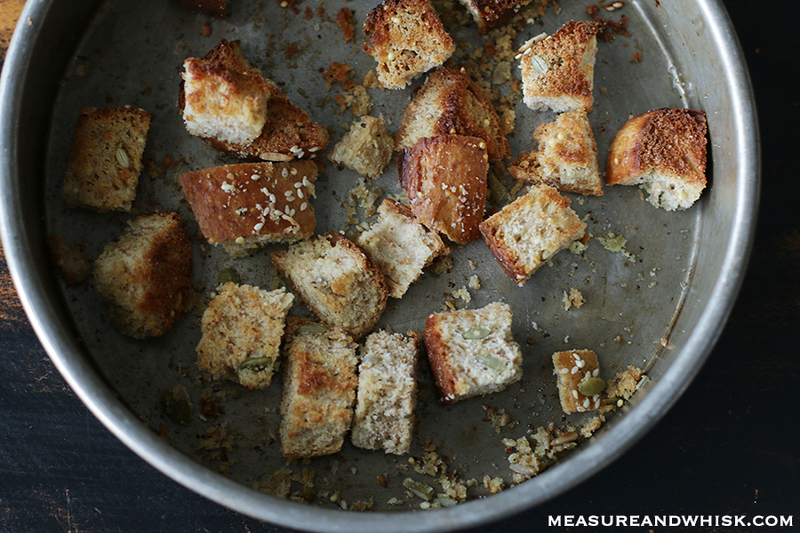 Below, I have photos of two different batches, but I wanted to show you that you can make croutons out of almost any savory bread. Challah, French, Baguettes, Whole wheat, Multigrain, Rye. You name it, you can probably make croutons out of it. 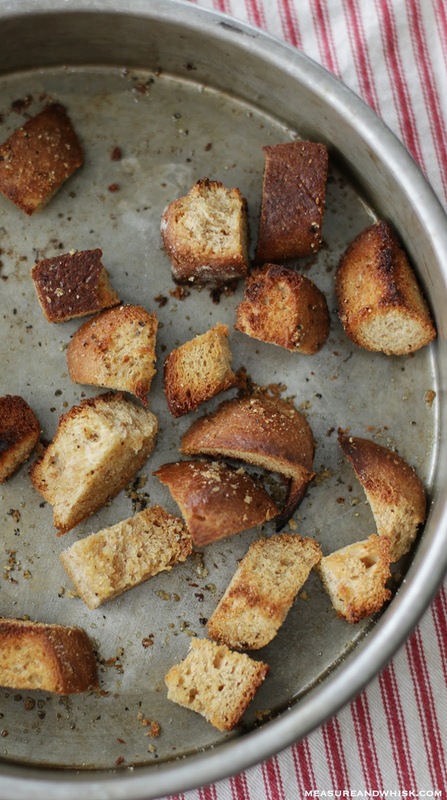 Just don't use sweet or quick breads. They won't taste good on a salad. Turn your oven on to a low broil. 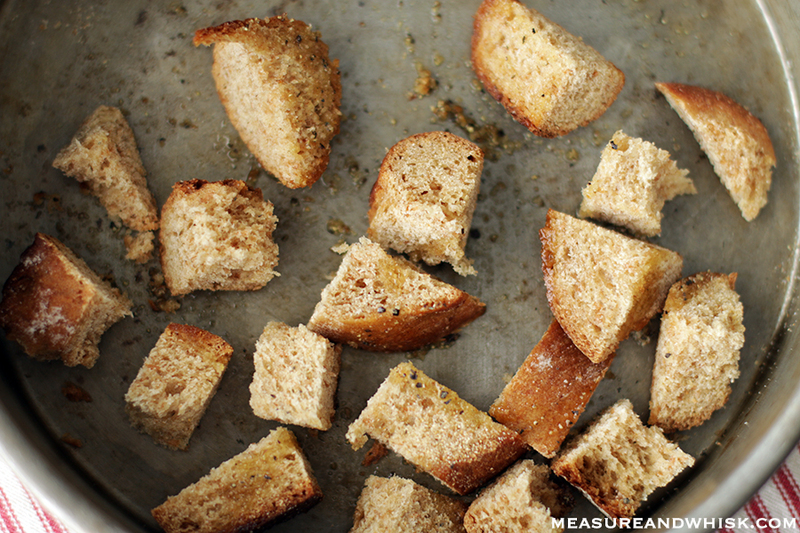 On a large cookie sheet, spread out your croutons, and sprinkle with olive oil, garlic powder and salt and pepper. 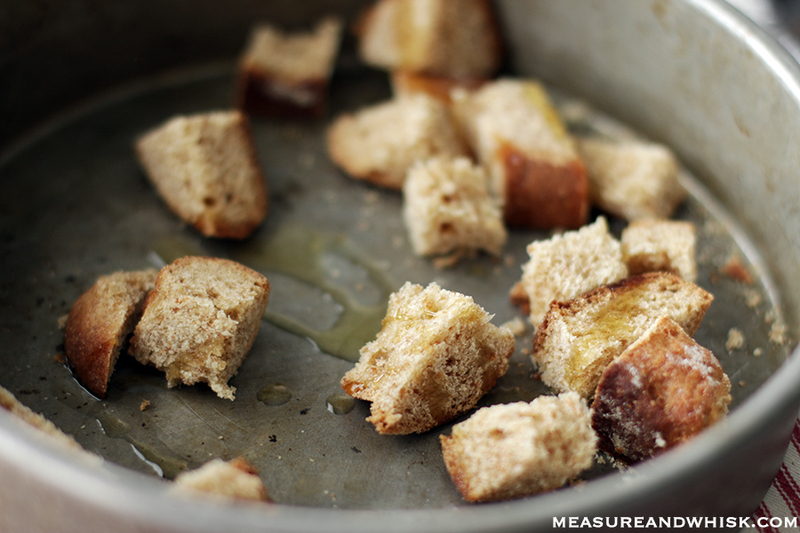 With clean hands, mix the croutons until they are all coated in olive oil and spices. Put in the broiler for 2-3 minutes, or until they are getting toasty around the edges. Remove from the oven, and flip them over with tongs or a fork, and then toast the other side for 1-2 more minutes. Remove when crisp on the outside. 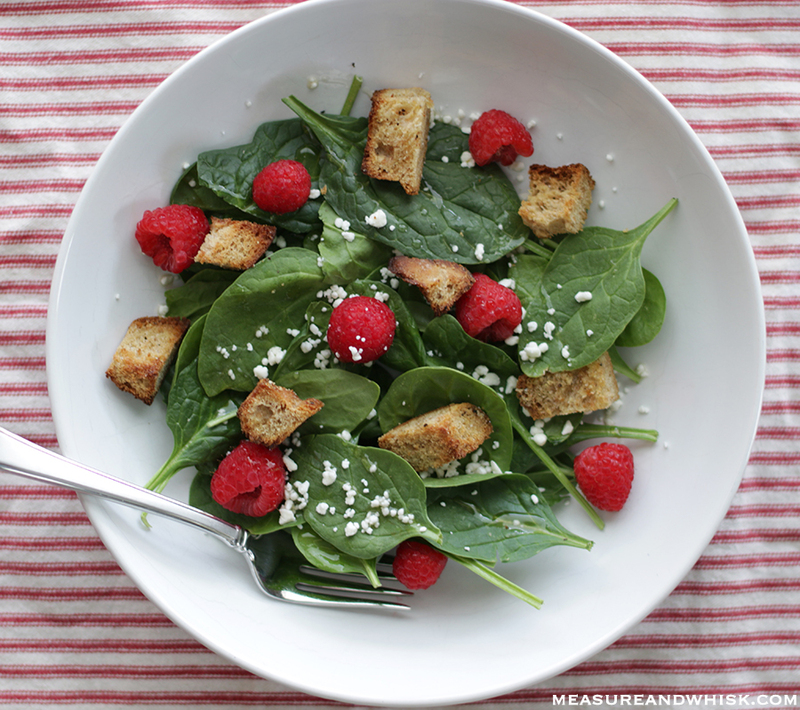 Serve immediately on soups or salads.